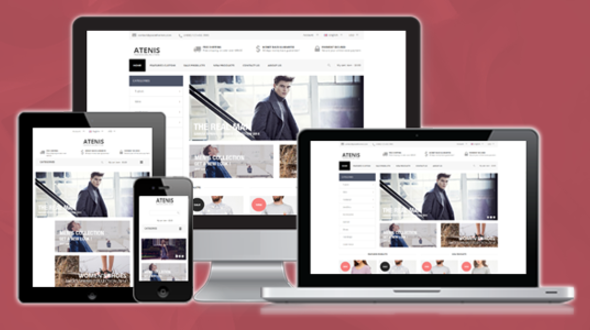 Responsive Magento theme Atenis is our elegant and modern eCommerce theme for online fashion stores. This Magento Theme is perfect for any kind of fashion products. The theme is highly customizable. All blocks in Header, Footer and Home page can be managed in the Magento backend CMS. At the first glance, Atenis charms with an eye-catching Home page. Layout are arranged beautifully and clearly. Banner7 extension brings slideshow with nice images and effects. Custommenu contains useful links to new products page, discount products page. Vertical mega menu with many columns contains big data information makes customers go to parts in this web quickly and conveniently. Customers will go shopping more quickly with layered navigation ajax, ajax cartsuper extensions. Highlights products will be shown in many extension such as : featured products slider, new products slider, bestseller products, onsale products, lastest products, mostviewed products, related slider, upsell slider,.. Static blocks interspersed among extensions bring fresh feeling. This template supports about comments of customers with Testimonial extension. 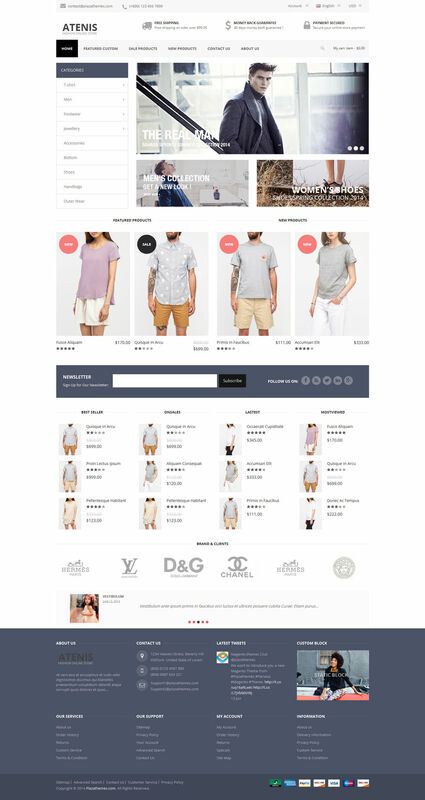 Furthermore, this eCommerce Magento theme is fully responsive, it automatically scaled to fit the screen size when screen size changes.